Welcome back to recipe 5 of my Simple Soup Series. (Or “Souple” if you caught my typo in one of my previous posts!!!!!!!). Now this next soup probably has to be the simplest and quickest soup of the series yet. I’m sure some people will be put off by “Mint” bit, but let me assure you – the mint flavour is what totally makes this recipe!! It complements the pea flavour so well and has such great health benefits due to its wide range of phytonutrients and antioxidants. It promotes healthy digestion and has been used for centuries as a natural remedy to soothe the stomach and relieve digestive issues such as gas, bloating and IBS. It is also widely used as heartburn relief, although sufferers of severe acid reflux or GERD have reported their symptoms have worsened after mint. However, if you are not affected by mint, I recommend giving this recipe a go as it is so very quick and easy, and super delicious!! 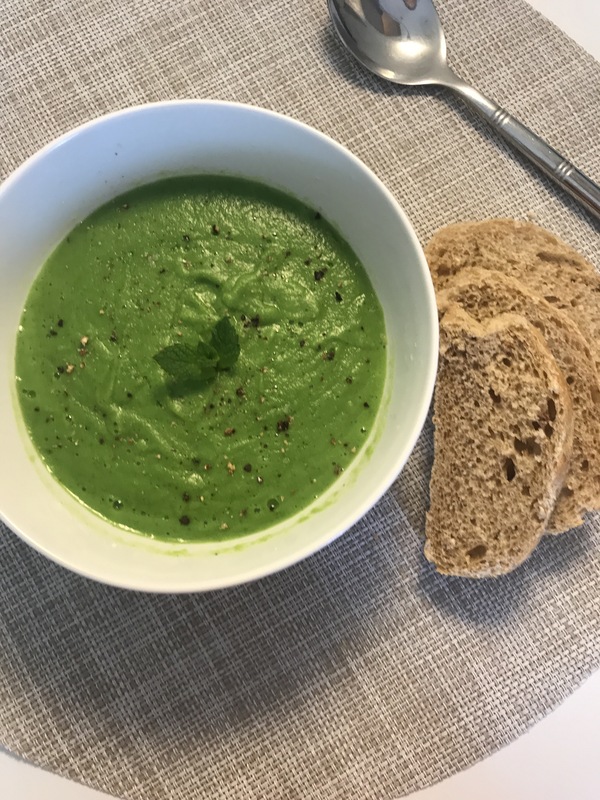 Pea & Chilli – Make pea soup without any herbs, then sprinkle on some chilli flakes once blended. Put saucepan onto high heat, add in the peas and the boiling water. Cook on high heat for about 5 minutes. Drain the peas but keep half of the cooking liquid. 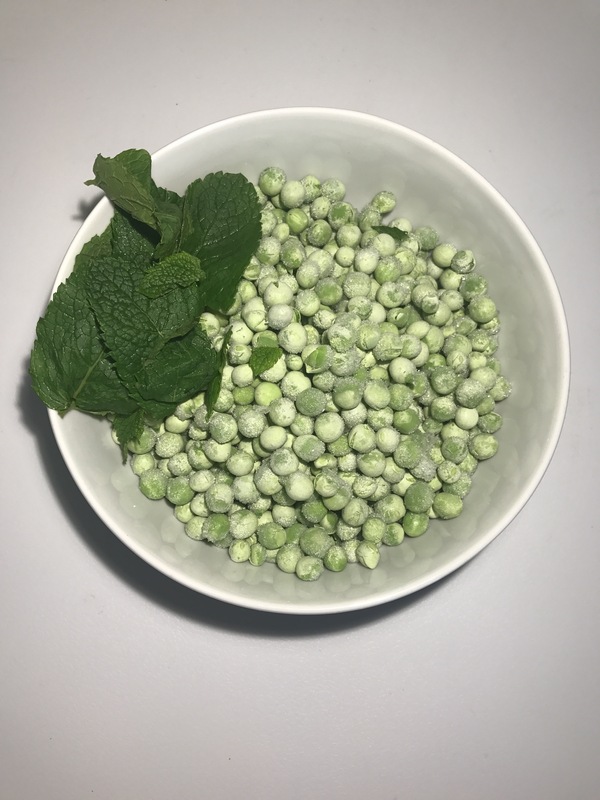 Add the peas, a handful of mint leaves and half the half of the cooking water you saved to a blender.